BLW: Let’s welcome the successful Indian newbie author Anirban Nanda to Book Lovers World. Anirban Nanda: Thank you very much. I am overwhelmed for this kind welcome. Excited about the interview. Let’s start. thinking about weird fantasies of my own. Anirban Nanda: Thank you again. I am Anirban Nanda, a small town engineering graduate, confused about what to do with my life. 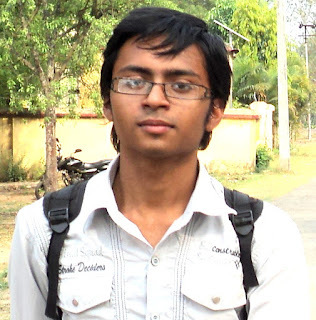 I am currently pursuing research at IIT Kharagpur and also writing my debut novel. I have published many stories in anthologies like ‘Memoirs of Love’, ‘Dream Castle’ and more. 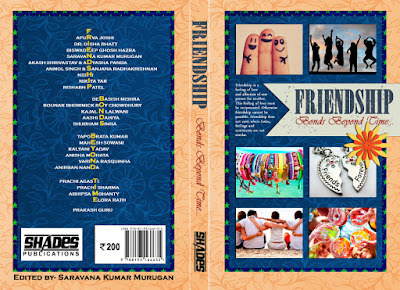 This is my fifth anthology. When I am not writing or reading or researching, I am thinking about weird fantasies of my own. BLW: Tell us about your short story Homework, what it means to you, and how did you feel when you saw your name in the winners list? Anirban Nanda: Homework is a story about two sixth grade students ─Ani and Tina. They are best friends and personality-wise; they are quite opposite to each other. Carefree Tina always copies studious Ani’s homework. One day, something happen around the homework and their friendship is put to a hard test. Who would not be happy to see his name as among the winners of a coveted anthology? When I saw the Facebook post announcing winners, I ran to my Mom and showed my name in the list. Anirban Nanda: An event in my childhood, when I was in school. A similar incident had happened then. That is inspiration for this story. Although I have never imagined that someday I’d write something on that incident. Anirban Nanda: To the friend for whom this story exists. I can’t disclose his/her name though. Anirban Nanda: Online contests provide you a theme on which you can build up your story. It actually helps you to slowly nurture your writing ability and by getting comments and feedbacks from the editors, fellow authors and readers, you get to know your weaknesses. When an online contest demands a contribution fee after selection, it surprises me a lot. Anirban Nanda: Yes I have a blog. It is www.anirbanigp.wordpress.com. I blog just to express my feelings about the books I read or about my emotional bond to the art of writing. I think it varies from person to person whether blogging helps writing better short-stories. For my case, it doesn’t help, but if someone uses his/her blog for writing stories, it can be definitely helpful. Anirban Nanda: I wanted to be with Pokemon and Pingu. Anirban Nanda: My parents are my inspirations. The way they have worked hard to make sure I get everything I need has pushed me to do better in every sphere of my life. Anirban Nanda: Comic books are the preliminary source from which I started liking stories and adventures. Tintin series is one of them. And when I grew up, Chader Pahar (Mountain of the moon) by Bibhuti Bhusan Bandyopadhyay inspired me read more books. In terms of influence, I’d say ‘A Portrait of the Artist as a Young Man’ by James Joyce is the most influential book for me. Still now, whenever I feel down or frustrated, I pick up this book and read. Anirban Nanda: Well, I am an active participant in quiz contests and I am quite good with different software and technical knowledge. 2. One Hundred Years of Solitude by Gabriel García Márquez. 3. 1984 by George Orwell. Anirban Nanda: Keep reading, because only by reading, you are keeping alive thousands of lives and characters. Thank you so much for your time, Anirban. It’s our pleasure to chat with you… And to the readers stay back for more. For the first time in BLW, we’re interviewing all the contributing authors of the book. We hope you will like reading the response. Stay Tuned!